Why I love it: I’ve found so many great new bands and songs by listening to these podcasts! Where else can you hear Belle & Sebastian, Neon Indian, Blitzen Trappen, The Mountain Goats, etc, all together in one upbeat mix meant for running? I don’t always love every song, but there are enough gems in these mixes to keep me coming back for more. I also love the format: each song is kept pretty much intact (although they do fade into each other to keep momentum going.) I’ve never been a big fan of Girl Talk or DJ Earworm because I like to hear more than just a line or two from individual songs. The hour-long length, too, is perfect for my standard morning run. I always look forward to a run when I have a new Indie Soup Runner podcast to check out. Favorite episodes: Way too many! A few favorites are the Swedish Invasion mix, Americana mix, and the best of 2009 mix. 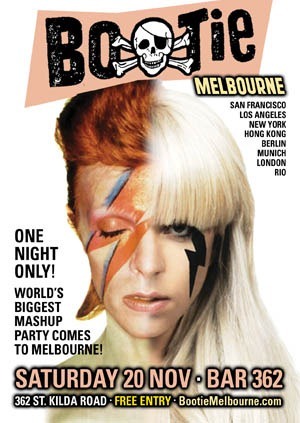 Why I love it: I recommend this and the next website only if you have a strong stomach for pop music. I tend to be more of an indie kid but sometimes you need mindless lyrics and party beats when you run! 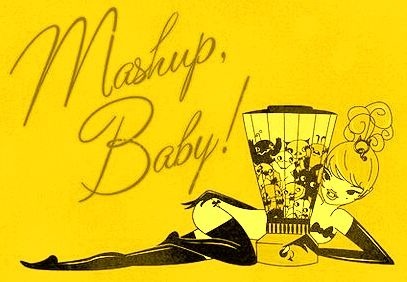 This blog, run by two master mashup DJs, compiles the best mashups from them and other DJs and offers them for listening & download. There are some crazy combinations (“The Power of Creep”—Celine Dion vs Radiohead??) but also some really fun ones, and if you can’t listen to embarrassing music when you run by yourself, when can you? Favorite songs: “Word Up This Way” (Lady Gaga vs. Korn vs Cameo) Korn covering Cameo’s “Word Up,” set to Lady Gaga?! It sounds dreadful but seriously, it is so fun. Probably my favorite song to run to right now. You haven’t lived until you’ve heard Korn sing “All you sucker DJs who think you’re fly” while Lady Gaga beats thump in the background. Why I love it: I don’t know how this works, but somehow Titus Jones’s mixes make me like listening to music I never would be able to stand otherwise. They’re infectious. He also breaks my rule about playing only snippets of songs—even though he’ll pick and choose a line here or a chorus there to feature, the songs are always recognizable and I never feel cheated out of wanting to hear more of one particular song. He does a great job of crafting entirely new songs from the sum of their parts—he’ll work the melodies and lyrics of half a dozen songs together to craft an entirely different message. You’ll probably still hate it if you can’t stand Katy Perry or Ke$ha or other pop darlings, but if some of that stuff is your guilty pleasure, check him out. Okay, I showed you mine, now spill. What do you love to listen to on your runs? What songs/artists/podcasts should I check out. And if you’re not a music person—how do you do it?! i’m torn completely down the middle on this topic. the side of me that says, no, don’t run with music. listen to your feet. listen for heel scraping, for any kind of uneven gait; and also listen for the mountain bikers who are inches away from obliterating you. that side says music is distracting, maybe a little dangerous. however, the other side, the side that wears the crazy arm sleeves, thinks the wu tang clan never gets old during a long run–great hip hop mixed with vaudevillian stand up. ODB alone entertains me for hours. “her weave like palm trees, i went coconuts.” kanye west also serves this same entertainment/musical motivation. just a couple days ago i was running while listening to kanye and i heard this line: “she’s got a light-skinned friend looks like michael jackson. got a dark-skinned friend looks like michael jackson.” i actually stopped running, paused my garmin, and snickered for around five minutes. the other confession i’ll make is that i run with an mp3 player that’s the size of george castanza’s wallet and weighs more than a water bottle. i can’t get rid of it. it’s got a 26-hr battery and i’ve had it forever. i might as well be running while towing a record player in a red wagon. i’m sure i could find a tiny ipod, but i really enjoy–as cheesy as it sounds–the soul-satisfying act of listening to myself during a run and doing the continual self-diagnostics. i know you’re probably laughing at me through your ear buds as we speak, but, i will say this; i’m not set in my ways. i can be persuaded. i’d actually like to hear from more runners on this topic of how music enhances a run, and, if they listen to music, how they pay attention to those little diagnostic tests which i think we can both agree are vital in any kind of long distance running. I definitely agree with your points about safety–I’ve been surprised more than once by bikers (and even other runners) coming around sharp turns in the trail and I know I need to do a better job of being aware of my surroundings when running with music. And part of me also agrees with your point about being more in tune with the body when not listening to music. But I think for me, half of the point of listening to music (or podcasts, or heck, even talking with friends when running) is to NOT listen to my body. Tell me if your experience contradicts this, but for me, during really long runs, my body goes through phases, and there are definite low points where it’s begging to stop and just sit or lay down on the trail. If I didn’t have music to distract me and motivate me during those low points, I’m sure I would be much more likely to slow down or stop, just because there was no stronger voice in my head telling me to keep going. Maybe then the argument is that I need more willpower–can’t really disagree with that. But until I reach that stage, music is my crutch and I’ll happily accept it. Of course, sometimes things are seriously wrong with the body, and those times we DO need to listen. But I don’t think I’ve ever been so distracted by music that I’ve ignored real physical symptoms. I remember you talking about your giant, uncool mp3 player! I think it deserves its own post on your blog. And perhaps a name? Although “George Costanza’s Wallet” does have a nice ring to it. I’m in the same boat, Liz – I HAVE to have music while running. I can relate a little to your sad iPod drowning experience. That time I ran the St. George Marathon in the rain, my iPod got too wet in my armband around mile 13. I had half to go and felt the panic set in. Luckily some TLC involving paper towels and clipping the iPod in a more covered spot helped revive it, or I just might have dropped out! Anyway, the sound of my feet hitting the ground is boring, boring, boring, so I have to drown it out. Thanks for the tips for new downloads – I love new ways to spice up a run! I’m totally embarrassed by about half of the music I run to, but life is all about guilty pleasures! Thanks Heather! Let me know if you find anything you like in these suggestions! I don’t think there’s any LUDACRIS in any of the mixes, but I could be wrong. 🙂 And I’m always up for new running tunes, guilty pleasure or otherwise.